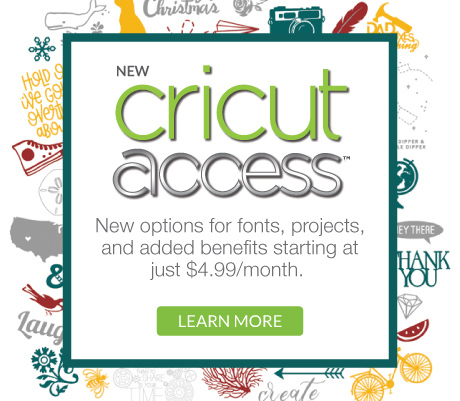 1: Open a new project in Cricut Design Space. Select Images > Cartridges> Classically Modern Cards. 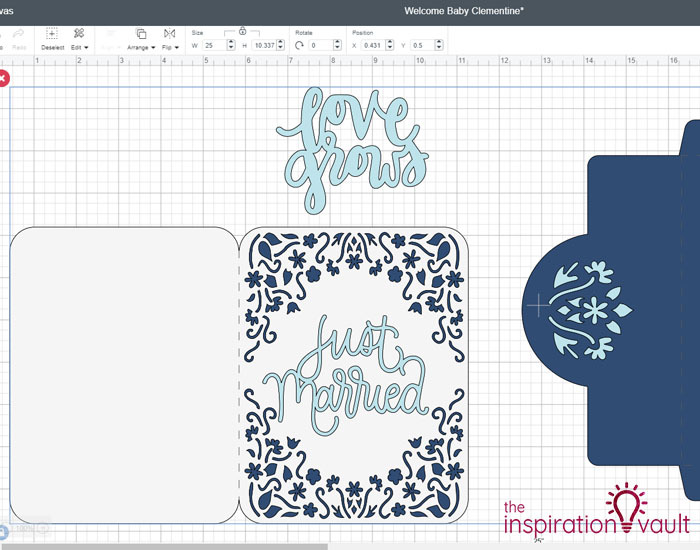 2: Click on the Just Married Card and then Insert Images on the bottom right. 3: Now we’re going to customize and personalize the card. 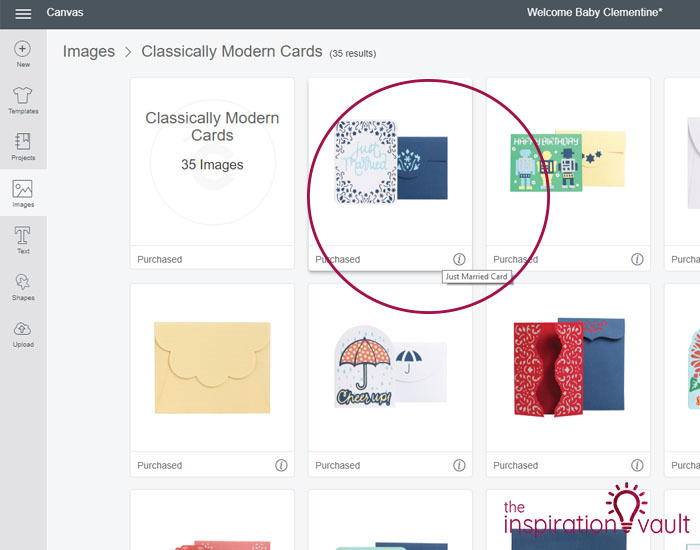 While everything is still grouped together, click and drag the group until the card is the size you’d like it to be. I chose 5″ wide for mine. 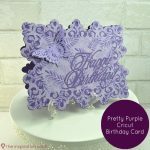 Make sure you’re just measuring the front or back part of the card only. 4: While the group of images is selected, right click and select Ungroup. Delete Love Grows and Just Married then separate the images. 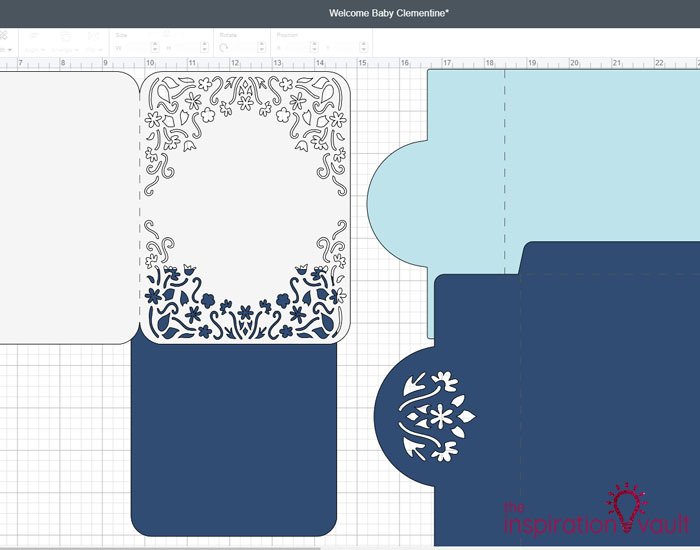 5: Recolor your images to match the color paper you’ll be using so it’s easier to keep each of the cutting mats organized. 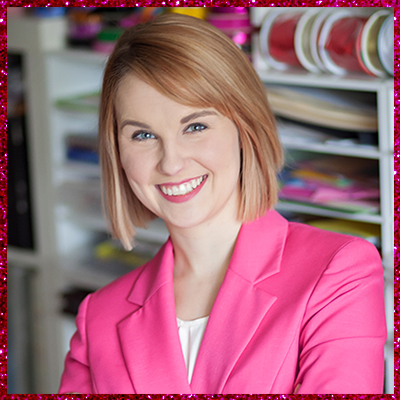 I used hot pink for the pink glitter. You recolor them by selecting the colored circle for each image on the right menu bar. 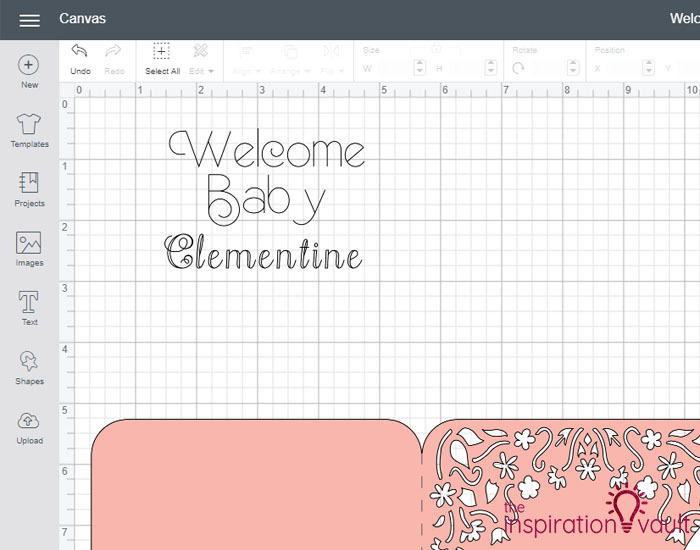 6: Create a text box and type “Welcome Baby” and change the font to Cricut’s Everyday Fonts-Best of Times. 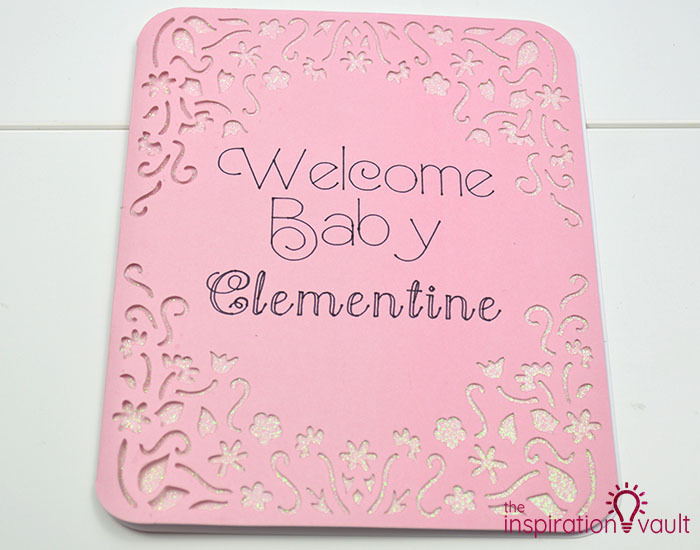 Create another text box and type the name of the new baby you’re welcoming. 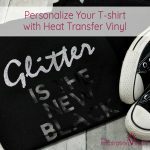 Change the font to Cricut’s Elizabeth. Or use whichever writing fonts you like. 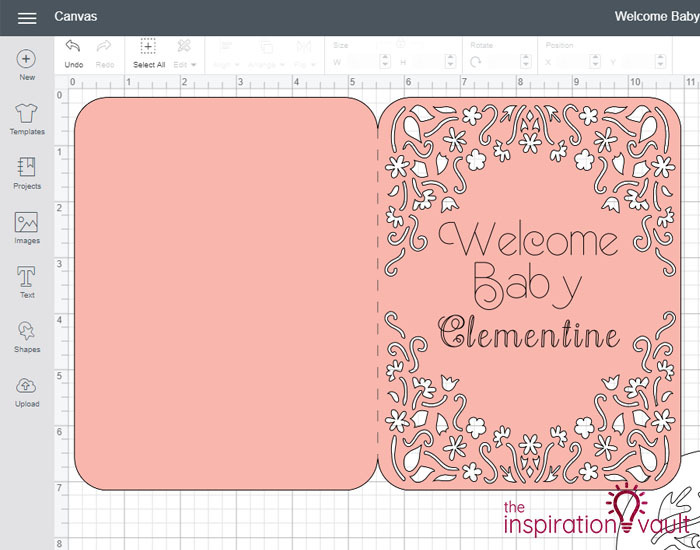 7: Drag the text boxes over to the front of the card and position and resize them where and how you like. Select both text boxes and the main card, then right click and attach. This will ensure the words are written exactly where you positioned them. 8: Select Make it and cut your card and envelope pieces. I used four mats so that I could load and cut them quicker, but one mat works just fine. 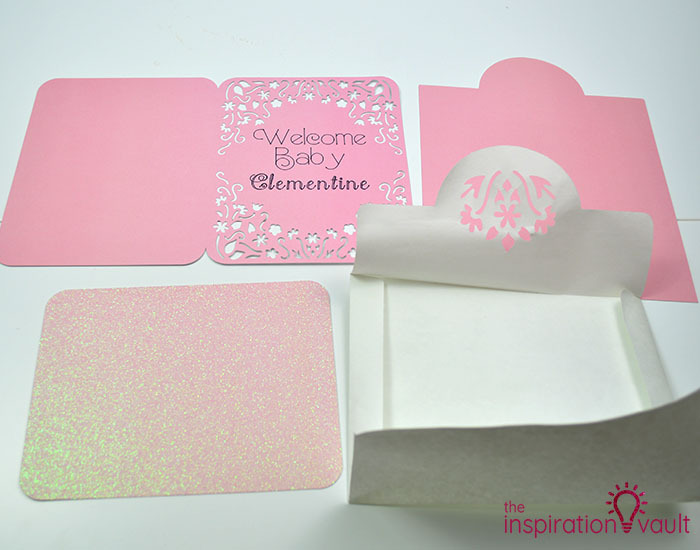 Follow the on-screen instructions and make sure to select Glitter Cardstock from the custom menu for that pink glitter. Also, have your scoring tool and marker ready to load when prompted. 9: Fold and glue the envelope at the scored lines. 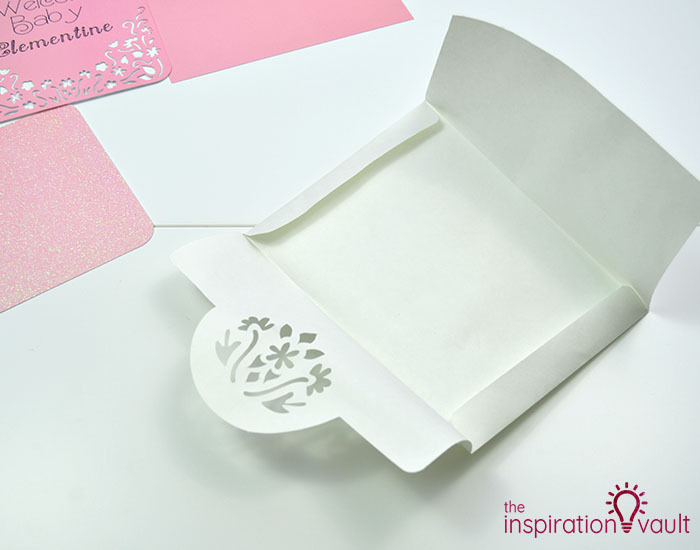 Insert and glue in the pink envelope liner. 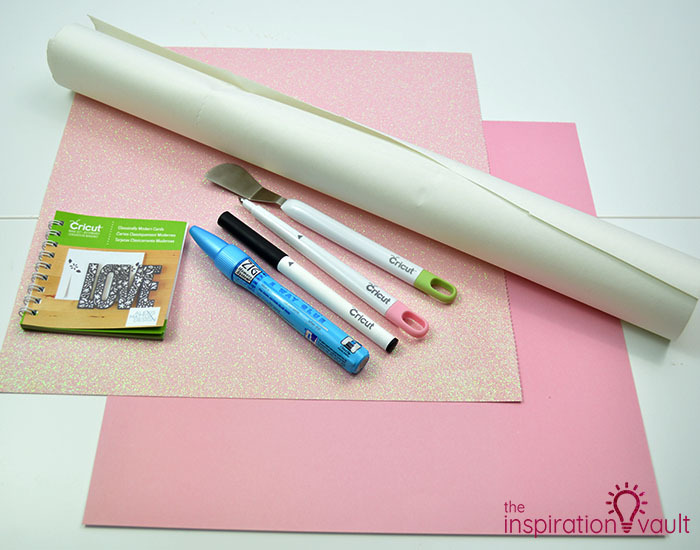 I recommend using dry adhesive if you’re using the craft paper–the liquids kept seeping through. 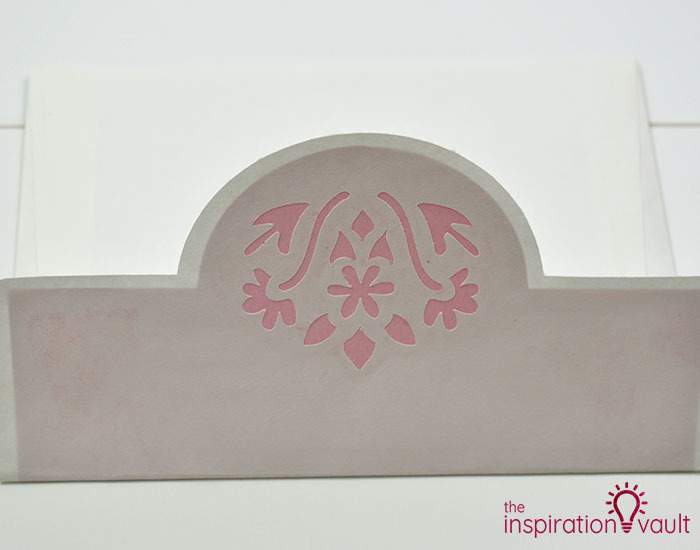 10: Now glue the pink glitter piece to the back of the flower cut out card front as shown. It’s hard to photograph glitter, but this card really sparkled! 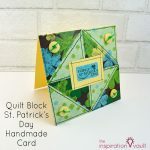 Fold the card in half along the score line once any glue is set. That’s it! 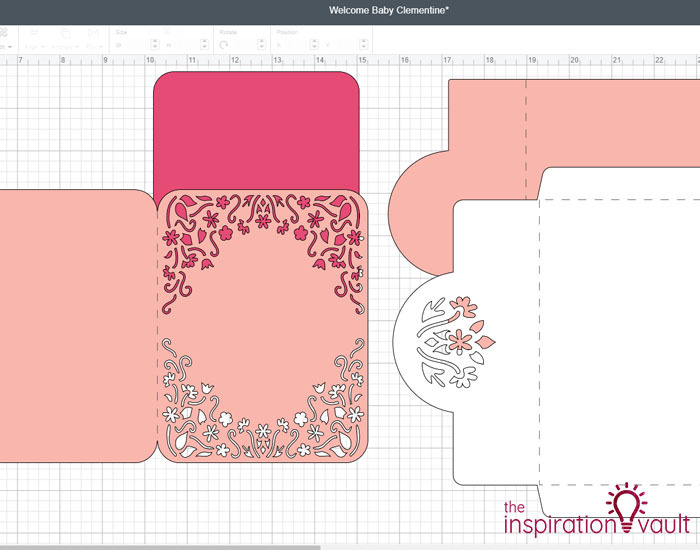 The lions share of crafting time for this adorable Personalized Baby Girl Cricut Card is spent in Design Space and the assembly is very simple and quick. 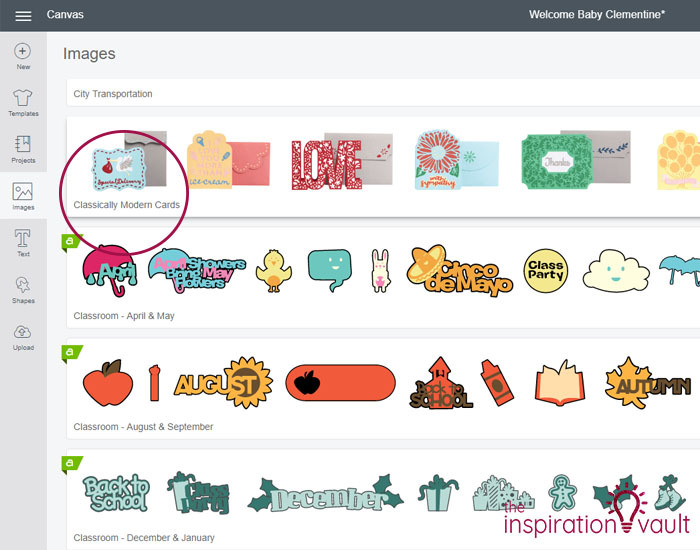 As always with Cricut cards, part of the big appeal is the ability to customize and personalize. Maybe you don’t want pink for the baby, just use your color preference. I think this card is also a great idea for a baby with an uncommon name. I have one child with a name that’s never printed on anything, so whenever she gets anything personalized, she loves it a little extra. 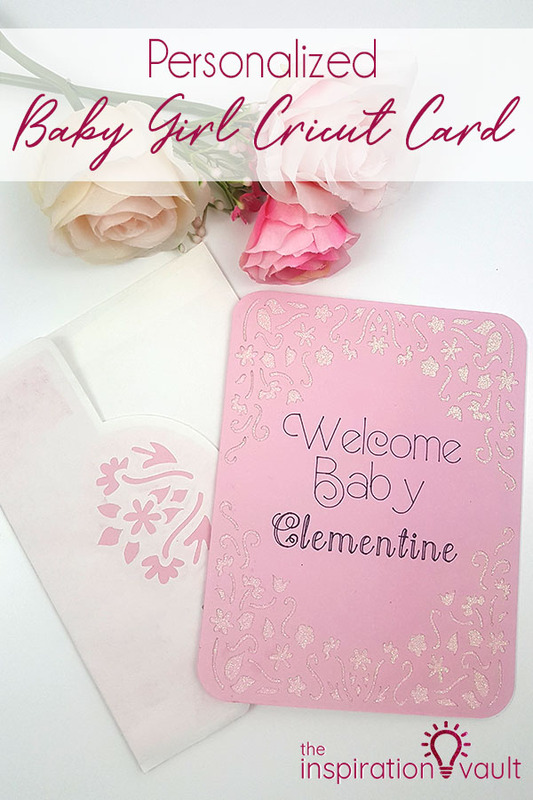 If you love baby cards, you should also check out my Welcome Baby Cricut Cards and a Handmade Baby Shower Card. 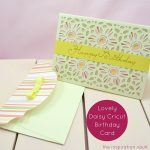 If you’re looking for loads of ideas for baby cards, you definitely should check out All Free Paper Crafts. 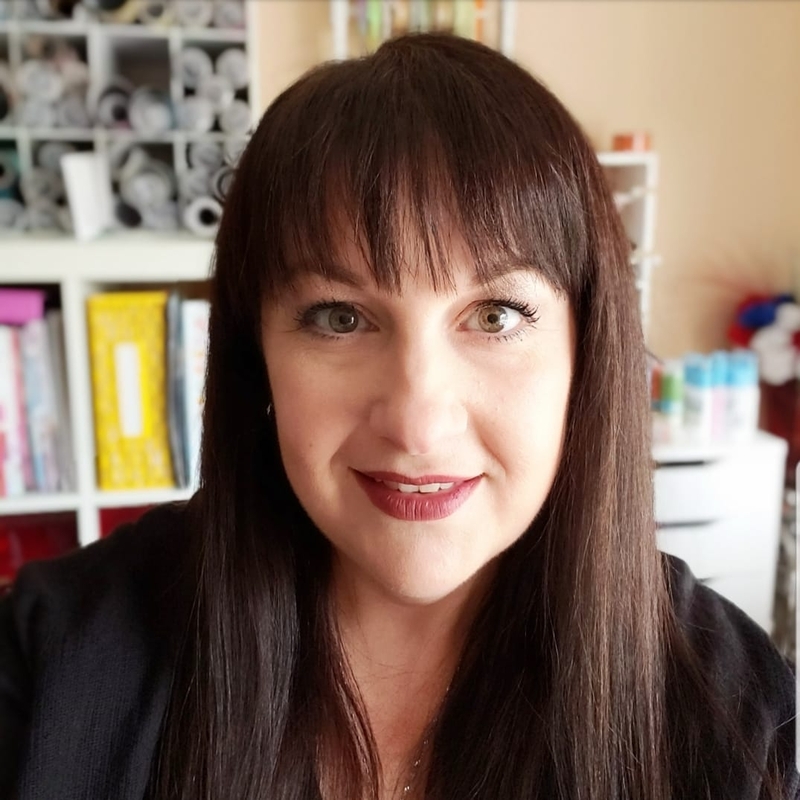 They have so many cute designs to browse through! 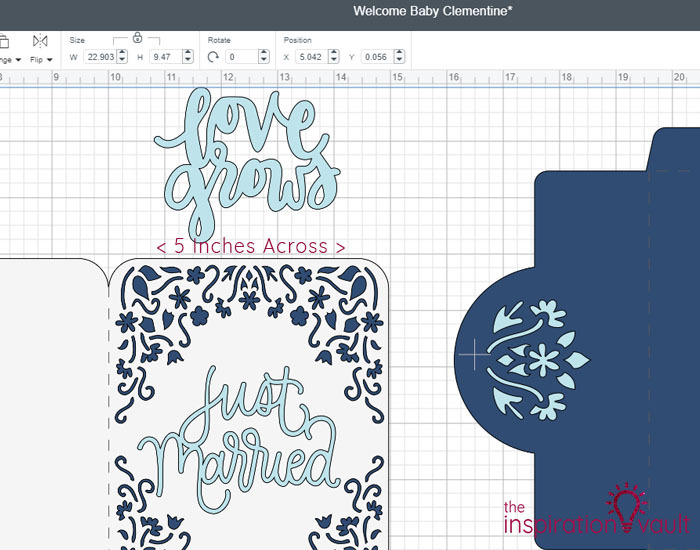 Would you like to see some more gorgeous Cricut projects? 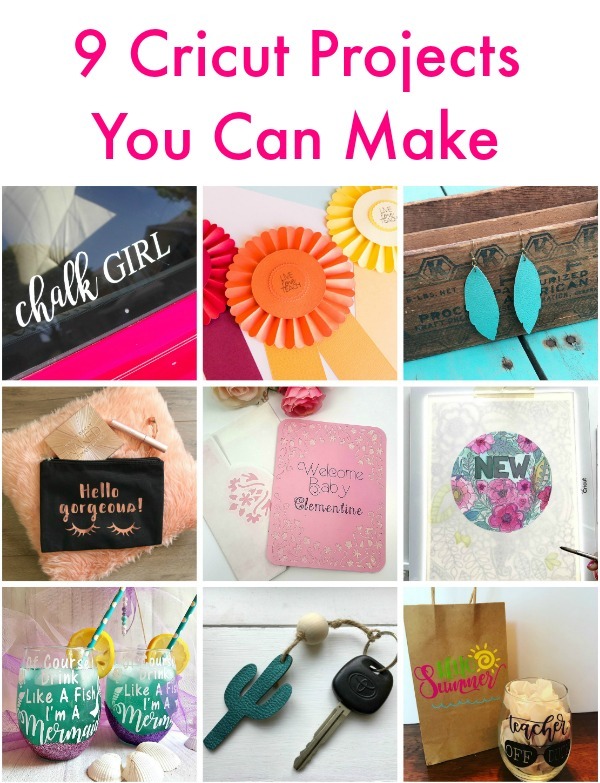 I’ve teamed up with 9 other crafty bloggers for our monthly Craft & Create Cricut Challenge to show you how you can make your own lovely goodies with your Cricut! How cute is this !?!? I adore the design and I love the name. 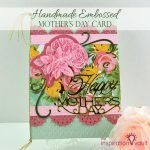 What a beautiful card you have made. 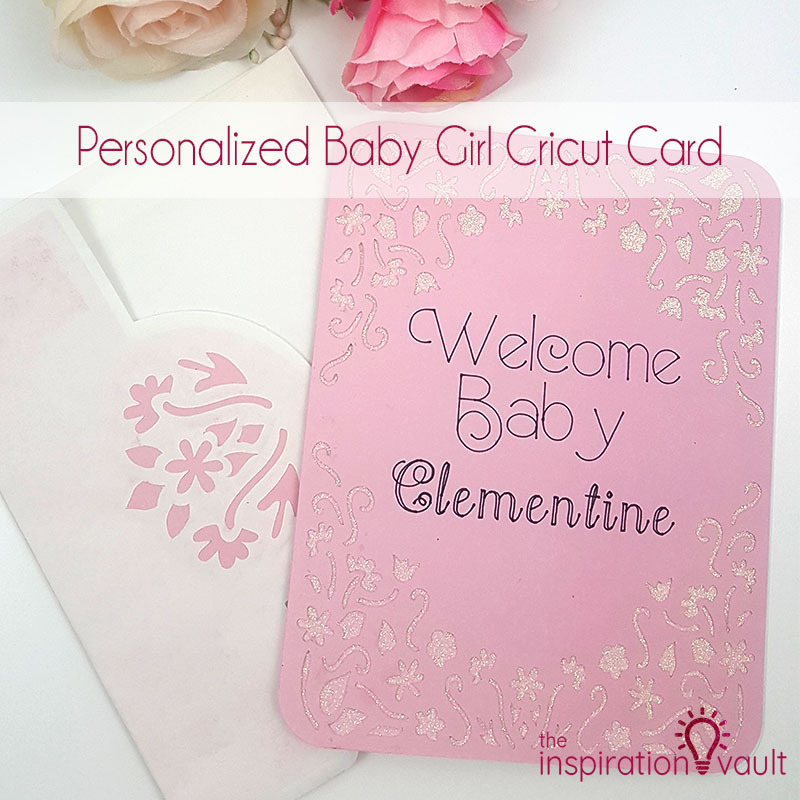 This is such a sweet way to personalize a card! Marie I’m in love with this card! 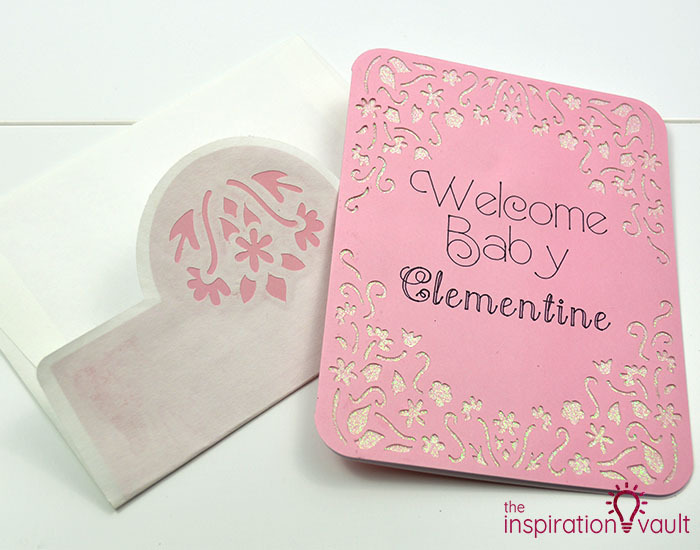 The pinks are beautiful and this card reflects how precious and sweet babies are. 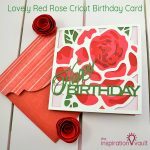 I’m working on some birthday cards today, it’s one of my favorite things to do to! This is adorable!!! Great job Marie.